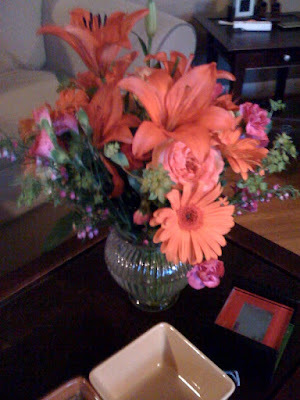 karl got me these gorgeous orange and pinks for mama's day. he also got me these for our next date night. No doubt you'll rock Mom jeans with true style and ease. HAWT. Mom jeans are a classic item. Because remember, Kat, you're not a woman anymore; you're a mom. (what?!) Pretty flowers for a hott mama! those jeans crack me up. real pretty flowers. Hope you had a good mom's day. Beautiful flowers! Happy Mother's Day!